Big & bold look of the Southwest without the big price! Searching the globe for the rare and the exquisite has taken me to some of the most breathtaking destinations in the world. But perhaps one of the most beautiful and unparalleled places is right here in the USA. I'm talking about the wild, untamed beauty of the American Southwest. Big sky, big vistas, big flavors — and the inspiration behind our biggest and boldest collection yet. 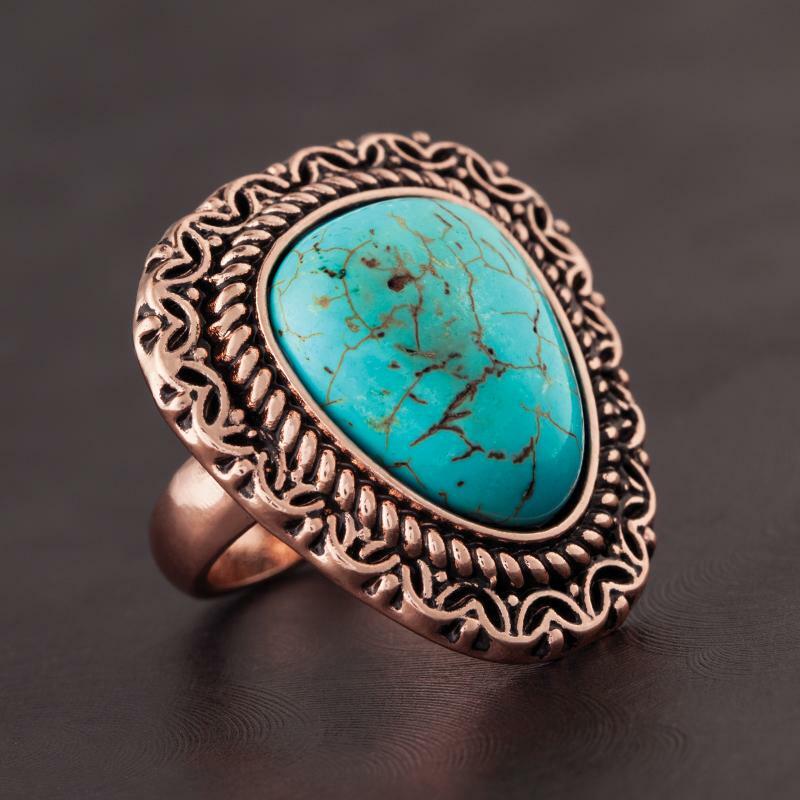 Our Sante Fe Ring bears all the signatures of the iconic jewelry of the great Southwest: a wealth of blue-green beauty set in intricate settings with a stunning patina. What it doesn't bear is the price tag. This generously sized collection offers the same color and distinctive veining patterns as the famous turquoise in our beautifully affordable trademarked Aquaria Stones™. If you've ventured off Route 66 onto Santa Fe's Canyon Road you'll experience over 100 galleries within its one square mile. Charming historic buildings filled with iconic big and bold southwest jewelry And, usually bearing a big and bold price. The Sante Fe Ring gives you the big turquoise look for significantly less than the turquoise price. I encourage you to shop the gorgeous handmade wares of Sante Fe, but you can skip the jewelry shops — we've got your big, bold look for far less. So you can treat yourself to a few hand tooled leather belts and a bottle of Gran Patrón. You can thank me later.